An important factor in the successful deployment of federated web services-based business activities will be the ability to guarantee reliable distributed operation and execution under scalable conditions. For example advanced failure management is essential for any reliable distributed operation but especially for the target areas of web service architectures, where the activities can be constructed out of services located at different enterprises, and are accessed over heterogeneous networks topologies. 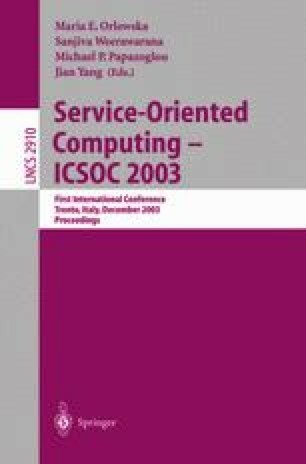 In this paper we describe the first technologies and implementations coming out of the Obduro project, which has as a goal to apply the results of scalability and reliability research to global scalable service oriented architectures. We present technology developed for failure and availability tracking of processes involved in long running business activities within a web services coordination framework. The Service Tracker, Coordination Service and related development toolkits are available for public usage.